Honda personal watercraft are innovative machines. Built with speed and durability in mind by one of the foremost automotive manufacturers in the world, these jet skis are a joy to own, and, most importantly, fun to ride. Protect the sleek design of your Honda Jet Ski a cover from Boat Covers Direct®. 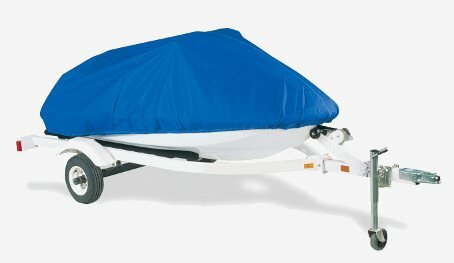 We offer durable covers from Carver, Covercraft, and Westland Industries for several Aquatrax models. Carver personal watercraft covers are made in Landrum, South Carolina. Carver covers provide a generous fit, with warranties as long as 7 years depending on the material chosen. Covercraft covers are made in Pauls Valley, Oklahoma. Each Covercraft custom cover is handcrafted in your choice of Sunbrella or Ultratect materials. Westland PWC covers are custom fit for each year, make and model of PWC. No matter which manufacturer you choose, we guarantee the fit and quality of the cover that you receive.